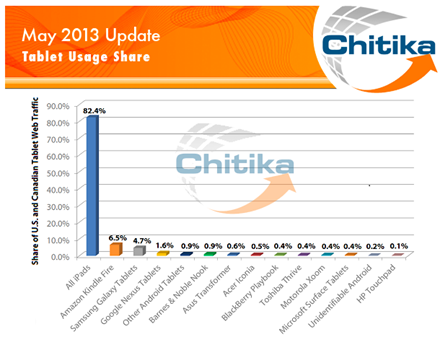 The latest tablet web usage report from the Chitika ad network shows the iPad with a significantly larger share than all its rivals combined. 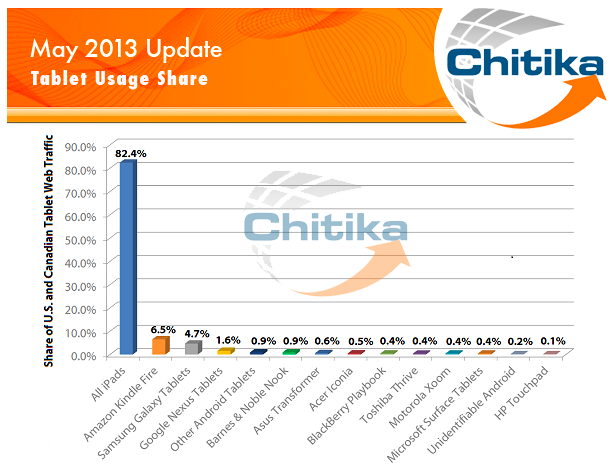 iPad has a huge 82.4 share, while the Amzon Kindle Fire is in a distant second place with just 6.5%. — The 82% is the same number as cited by Apple at their WWDC 2013 keynote event. — Google Nexus tablets, considered to be among the most popular 7 inch tablets, have less than a 2% share. — Microsoft Surface tablets are at well below 1%.